At Robinson’s Garage, we offer a wide variety of services to ensure your vehicle is kept running in good condition. From new tyres, batteries, and exhausts to MOT tests, car servicing, engine repairs and welding, at Robinson’s Garage you can be sure you’ll get good quality work at a good price. 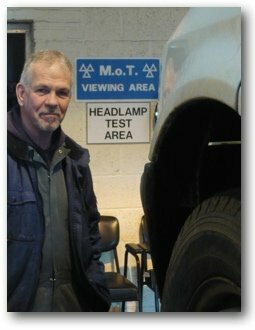 Robinson’s Garage is an approved MOT testing station where we perform the MOT test ourselves (unlike many garages that send vehicles elsewhere for the actual test). 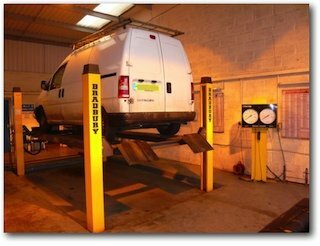 We are open for MOT test 6 days a week and you can leave your vehicle with us, or wait while we perform the test. Many other garages charge extra for re-testing your vehicle should it fail its MOT test (and insist on doing the necessary work to ensure it passes the re-test too). At Robinson’s Garage, we offer a No Re-Test Fee on MOT tests that we perform. And you can get the work done anywhere you like too! (although we suspect you’ll always like what we offer anyway!). To make your life even easier, should we have to fail your vehicle on its MOT test, we will discuss (in person, or by telephone) what work needs to be done in order to ensure it passes the MOT re-test. As we are also a full service and repair garage, we can often fix the problem (replacement tyres, bulbs, wiper blades, for example), perform the MOT re-test, and pass the vehicle before you collect it. If more significant work is required, we can arrange a suitable time to do this too. Whatever the work required, and wherever you choose to get it done, just return the vehicle to us within 10 days and the MOT re-test is FREE OF CHARGE!